The values of caring and compassion aren’t restricted by borders. This is a lesson the Hospice Foundation (HF) learned in its nearly 10 years of helping Center for Hospice Care (CHC) support the work of the Palliative Care Association of Uganda (PCAU). As twinned organizations under the Global Partners in Care (GPIC) umbrella, CHC has assisted PCAU in bringing culturally appropriate palliative care to those in need throughout Uganda. The success of this partnership is the primary reason the Hospice Foundation was one of the first contacts made by the National Hospice and Palliative Care Organization (NHPCO) as it began to the search for a new home for GPIC – an organization created to support Africa’s hospice and palliative care programs’ ability to provide compassionate care. Today, the partnership network extends to several African countries, as well as India and Nepal. Since 2004, more than $4.5 million has been sent to hospice and palliative care organizations. Through the course of GPIC’s history, more than 100 US-based hospices have partnered with similar care providers in 18 countries creating not only constructive partnerships but friendships between nations, communities and individuals. GPIC provides opportunities for U.S. hospice and palliative care organizations to make a commitment to support a hospice and palliative care organization in a developing country. Partners engage in capacity building, strategic planning, education, fundraising, and technical assistance to expand and improve services for those in need. It’s important to note that no donations to Center for Hospice Care or the Hospice Foundation are used to support global initiatives, unless explicitly requested by the donor. To learn more about Global Partners in Care as well as ways to support the organization, please visit globalpartnersincare.org. As part of Global Partners in Care Center for Hospice Care was linked with Palliative Care Association of Uganda (PCAU) in 2008. Support for PCAU is multi-faceted — the organization’s National Coordinator, Rose Kiwanuka has made two visits to CHC to learn about our programming and through a grassroots effort, CHC employees have established an employee giving program, Uganda Impact Fund, that provides more than $8,000 in annual support. These funds and a grant from Hospice Foundation, enabled PCAU to move into its own safe, secure compound in the nation’s capital, Kampala. To learn more about the accomplishments of the partnership between CHC/Hospice Foundation and PCAU, as well as future initiatives and goals, view our 2016 Partnership Report. For the 2015-16 academic year, CHC and Hospice Foundation, through various grants and fundraising efforts, supported eight Ugandan students as they completed a one-year Clinical Palliative Care Course. Upon completion of the course, they will have leadership roles in the delivery of palliative care in their districts. 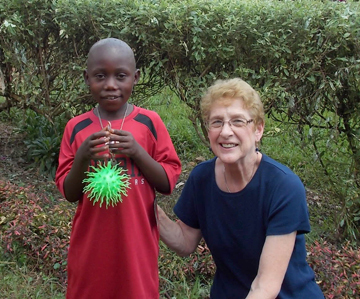 If you would like to support PCAU in their mission to bring palliative care to all of Uganda. In 2013, a film crew from Hospice Foundation traveled to Africa to film our next documentary, Road to Hope, in Uganda, Kenya and South Sudan. Filming took place over a three and a half week period from late August through late September. Road to Hope explores the unique challenges of orphaned children after caring for their dying parents in poverty-stricken areas of Sub-Saharan Africa. The film tells their stories through the lens of caring and supportive people who have emerged, often as unintentional shepherds, to offer love, guidance and support as the children seek to rebuild their lives. Currently on the film festival circuit, Road to Hope is garnering international recognition and won multiple film awards. To learn more about the film project, visit Road to Hope. The Road to Hope program was created to provide support for these children by enabling donors to sponsor a child for one year for only $450. This sponsorship covers costs associated with clothing, education, and healthcare needs. We have also helped organize internships in Uganda for Notre Dame students in palliative care and spiritual care, thanks to the support of the Kellogg Institute for International Studies and the Ford Family Program. Hanna O’Brien, a College of Science Pre-Professional Studies and Anthropology double major at Notre Dame, was the first student to study in Uganda during the summer of 2010. She returned the following summer. These programs also helped fund other spiritual care internships for Notre Dame Master of Divinity students. In addition, Brianna Kunycky, working at Notre Dame’s Geospatial Analysis Laboratory under the direction of Dr. Dilkushi Pitts, created a new palliative care map that will depicted the geographic deployment of palliative care workers throughout Uganda. Her work helped identify coverage gaps and aided in prioritizing those areas of the country that most needed certified palliative care workers. View the map here. In 2013, three Notre Dame Students, Gaby Austgen, Anna Heffron and Emmie Mediate, interned in Uganda. Each student was paired by PCAU with a member organization for their internships. While in Uganda, each blogged about their experiences. 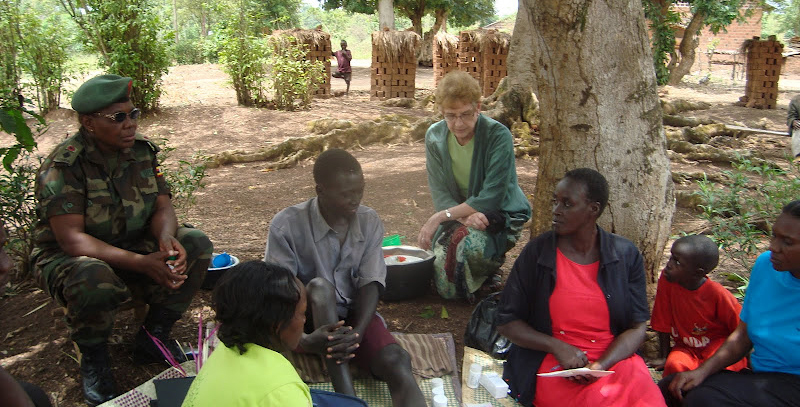 Emmie Mediate returned to Uganda for a second year in 2014 to work on an extensive research project. The same year two other Notre Dame students, Cliff Arnold and Graham Englert, worked with PCAU. As part of her program with the Eck Institute for Global Health, Brianna Wanless developed an mHealth pilot program that uses mobile phones to track and update palliative care throughout the country. Palliative care healthcare providers will provide PCAU with vital statistics such as the number of patients being cared for at various member locations as well as track morphine supplies. Intern Brian Vetter provided assistance for the program as well. We invite you to learn more about internships in our community and in Uganda.